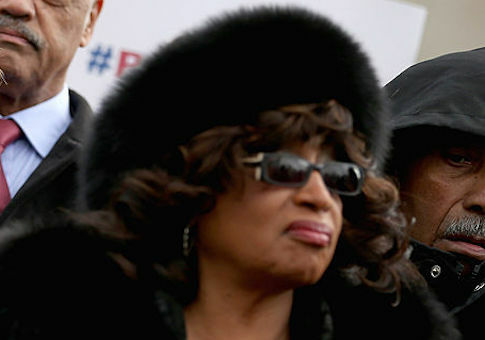 Former Democratic Rep. Corrine Brown (Fla.) has been found guilty of wire fraud and tax evasion for her actions involving a charity that she used to personally benefit herself. Brown, who was facing 22 counts, was found guilty on 18 of them and not guilty on four. The verdict was announced Thursday afternoon. Brown and her chief of staff, Elias "Ronnie" Simmons, were indicted in July 2016 on 22 counts of fraud stemming from the foundation associated with the former congresswoman. Simmons testified that Brown directed him to steal money from the charity. Simmons pleaded guilty to fraud in February. Wiley and Simmons both testified as part of a plea agreement. While on the stand, Brown "sobbed uncontrollably" when questioned why the cash transactions were not marked as income on her taxes. "I had birthdays, I had Christmas, you know, and sometimes I have boyfriends," Brown said. During closing arguments, prosecutors argued that the evidence overwhelmingly showed that Brown had personally benefited from the foundation and that she had effectively robbed from children in need. Deliberations hit a snag when a juror was dismissed on the third day. The juror allegedly referred to "higher beings" during deliberations while mentioning Brown. These actions raised concern with at least one other juror who contacted the courtroom deputy. Deliberations were restarted after the juror was ultimately dismissed and replaced with an alternate juror. The dismissed juror, who was a white male, was replaced with a Hispanic male, which slightly shifted the make up of the jury. Three white females, four white males, two black females, one black male, and two Hispanic males made up the final jury, WOKV.com reported. Brown, who lost her Democratic primary last August, insisted on numerous occasions that she was targeted due to her work fighting racism and injustice during her time in Washington. Brown was convicted of seven counts of wire fraud, five counts of mail fraud, one count of scheme to conceal material facts, three tax fraud charges, and one count of obstructing IRS laws. This entry was posted in Issues and tagged Corrine Brown. Bookmark the permalink.